Semi-finals day in Jakarta and the home crowd had plenty to cheer about as Simon Santoso continued his good form of late to book his place in a second Super Series final in the space of a week. Not to be outdone, Sony Dwi Kuncoro (photo) set up an all-Indonesian final and the home crowd are sure to be out in force tomorrow to support both players in the absence of Olympic champion Taufik Hidayat. 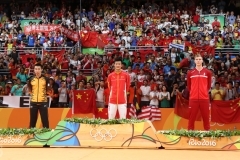 Is this the dawning of a new era in Indonesian badminton? Are Simon and Sony finally stepping out of the shadows of their more famous compatriot? Who knows but one thing is for sure and that is that the vibrant Indonesian supporters are in for a treat in tomorrow’s finals. Who would have predicted, at the beginning of this tournament, an all-Indonesian men’s singles final in their home event? The answer is not many. All the talk seemed to be about Taufik and his choice to miss his home event. But under the radar, both Simon Santoso and Sony Dwi Kuncoro have displayed the passion and desire that befits their home event to set up a mouth watering final tomorrow. It was Kuncoro who had the most difficult semi-final, on paper. He was laden with the unenviable task of challenging the top Chinese player in the event, Bao Chunlai. After he lost the opening set 15-21, it looked like Dwi Kuncoro was heading for an early shower. 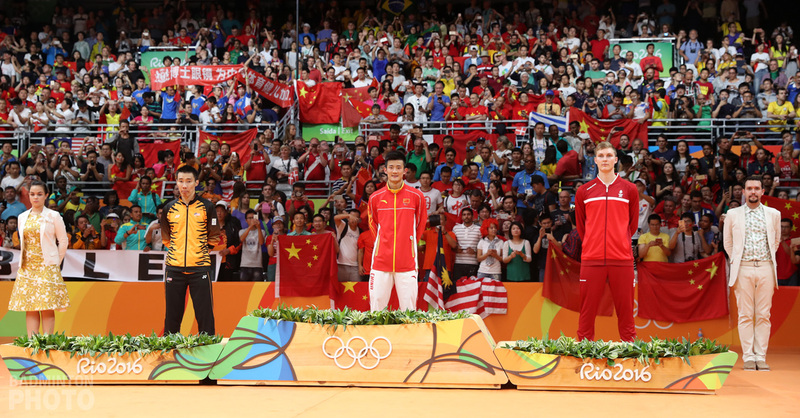 However, with the home crowd firmly behind him, Sony fought his way back into the match and remarkably took the second set 21-13 to rock the top-seeded Chinese player back on his heels. Dwi Kuncoro had now gained the upper hand and the momentum had swung firmly onto the home player’s side. In the third set, after exchanging some cautious early points, it was the Indonesian player who seized the advantage and rattled off 9 unanswered points to give him an unassailable 15-5 mid-game lead. Dwi Kuncoro continued to grow throughout the remainder of the game and sent the home crowd wild with a 21-16 win in the deciding rubber. Simon Santoso entered the arena obviously buoyed and encouraged by his compatriot’s display. Santoso won the opening set against the surprise packet of the tournament, Kenichi Tago of Japan, 21-16 but the Japanese shuttler hit straight back and tied the match at one set each to put the home crowd on the edge of their seats. Santoso, obviously in a confident mood from his recent final appearance in Singapore, was the more efficient in the final set and took it 21-18 to send the crowd wild. 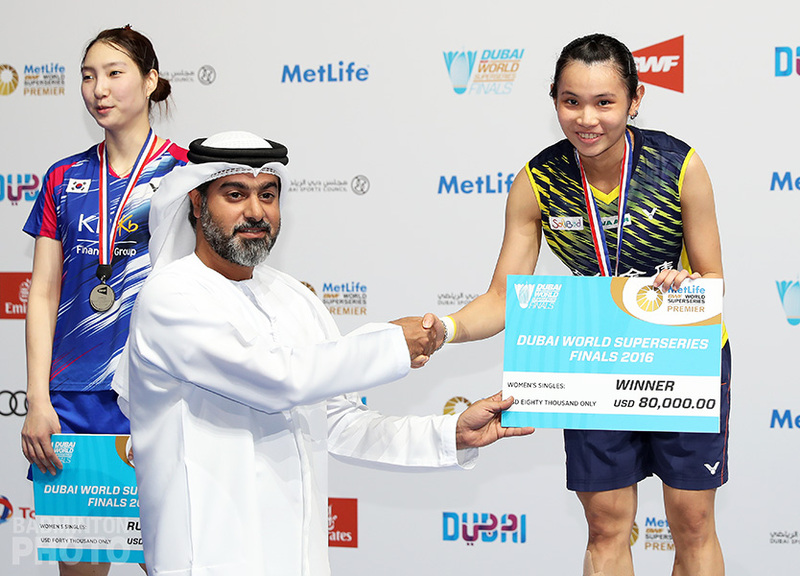 In the women’s singles event, the home fans once again had something to cheer about as Super Series semi-final newbie Maria Kristin Yulianti continued to defy the odds and pulled off what was probably the shock of the day in defeating the Chinese veteran Zhang Ning in another three-game thriller 21-14, 20-22, 22-20 in a match that lasted just over an hour on court. Meanwhile the number one seed Zhu Lin (photo) had to battle hard to finally dispose of another veteran, Pi Hongyan of France, in three sets 17-21, 21-16, 21-16 in what was the longest match of the day at 1 hour and 10 minutes. Hongyan, who has been struggling with form lately, will be reasonably happy to have at least made the semi-final here in Indonesia but it was her Chinese opponent who surely had more to celebrate in the quest for the third Olympic spot on the Chinese team for Beijing. Is this the end of the road, one wonders for Zhang Ning on her Olympic quest? The men’s doubles sees the continued good fortunes of Malaysian pairing Mohd Zakry Abdul Latif and Mohd Fairuzizuan Mohd Tazari. 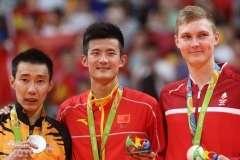 After an unlikely win in Singapore, the Malaysian world number 13 pair have spent the week proving that the win in Singapore was no fluke as they cruised to a second consecutive final with a 21-13, 21-18 win over Korean pair Ko Sung Hyun and Kwon Yi Goo. 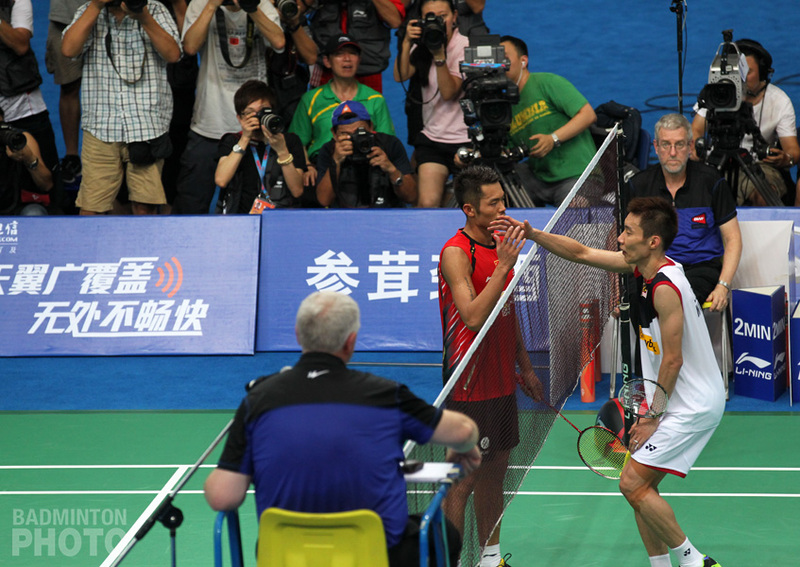 In tomorrow’s final, they will meet number 4 seeds Tony Gunawan and Candra Wajaya who had to endure a titanic three-game battle to eventually overcome Hoon Thien How and Ong Soon Hock of Malaysia 23-25, 21-15, 21-15. Gunawan and Wajaya have certainly impressed in this tournament so far and their win over number 1 seeds and world number 1 pairing Markis Kido and Hendra Setiawan in the quarter-final will have them start as favourites for the title tomorrow. 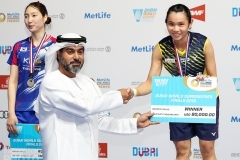 In the women’s doubles, the home crowd were on the edges of their seats for an enthralling semi-final which pitted Vita Marissa and Lilyana Natsir against number one seeds and clear tournament favourites Wei Yili and Zhang Yawen of China. It was the Indonesian pair, who were once again riding on the crest of the home support, that found the winners at crucial times to run out 21-15, 14-21, 21-18 in yet another three-game classic on semi-final day in Jakarta. They will meet Maeda and Suetsuna form Japan in tomorrows final as the Japanese pair comfortably overcame the challenge of Irawati and Jauhari 21-19, 21-15 and, in doing so, prevented another all-Indonesian final. The mixed event proved to be the biggest disappointment for the home fans on semi-finals day as both the home favourite pairings failed to advance to tomorrow’s final. In the opening match on court, a below-par performance from Vita Marissa and Flandy Limpele saw the Indonesian pair brushed aside by Chinese favourites and crowd-pleasers Zheng Bo and Gao Ling. The Chinese pair took the opening set 21-17 and in the second completely brushed the Indonesians away to take the set and match 21-9. In tomorrow’s final, Zheng Bo and Gao Ling will play the sole remaining European players in the tournament Thomas Laybourn and Kamilla Rytter Juhl (photo) from Denmark. The Danes came through an enthralling match against Number 1 seeds Nova Widianto and Lilyana Natsir 22-20, 22-20 in a match that at no point saw more than 3 points between the pairs at any point in the 42 minutes.